Associated Hearing provides a full range of brands and styles of hearing aids. During our consultation, we will provide you with the opportunity to review the features and benefits of a variety of aids in order to find the ones that will match your hearing needs and lifestyle. And more importantly, we will program those aids to demonstrate how your hearing can be managed with that particular hearing aid style and type. How Do Hearing Aids Work and How Do I Find the Right One? Hearing aids use miniature microphones to collect sounds around you and then convert that sound to the perfect level for you based on your hearing loss. That sound is then transmitted to you through small speakers in your ears. 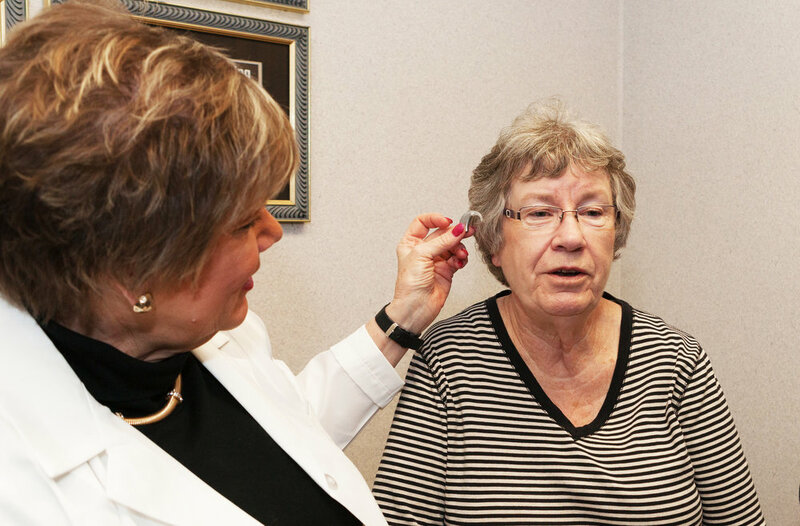 There are so many different options and our experts at Associated Hearing can help you find the perfect one. It usually takes a few weeks to adjust to new hearing aids. Some people may take several months to make the full adjustment. It just depends on the severity of the hearing loss and how long the hearing loss has been going on. There is no perfect way to adjust—it just takes time and patience! However, it always pays off. In order to work extremely well, hearing aids need to be fitted and adjusted properly. If you have any discomfort, just give us a call so we can provide the necessary alterations so you have the perfect fit. It is also important to keep in mind that although hearing aids can drastically improve your hearing, they will not provide perfect hearing. Anytime you have any questions or concerns, give us a call! Whether you have hearing aids or not, everyone experiences an annoying level of background noise as some time or another. There is no way to completely eliminate all of that background noise, however there are new hearing aids available that amplify the sounds you want to hear and minimize the unwanted noise. If you want to learn more about reducing background noise, the best technology is through the use of assistive listening devices such as FM technology. Our audiologists can answer all your questions about combining this technology with your hearing aids to help you hear better in difficult listening situations. Call us today to learn more at 651-646-2427!